According to the Solar Energy Industries Association, California is expected to continue leading the United States in the solar power race in 2013. 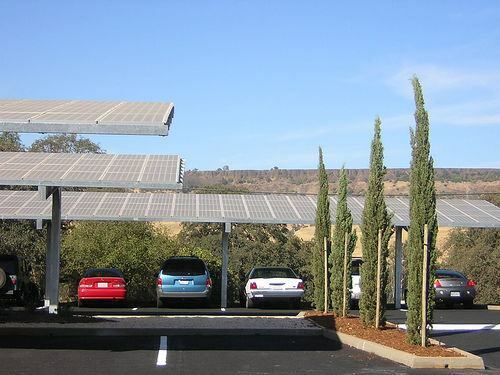 In the second quarter of 2012, California took the lead with a total of 217 megawatts of installed solar capacity. San Diego was named the top Solar City in the state for the second year in a row by the California Center for Sustainable Energy, extending that status beyond California and throughout the entire country as well. California’s current Renewable Portfolio Standard (RPS) requirement is that by 2020, both public and investor-owned utilities will create 33% of all electricity delivered to customers from renewable energy sources.This is one of the most ambitious goals in the United States. The state is also offering a New Solar Homes Partnership, which provides financial support and other incentives to builders of energy-efficient, solar powered homes. The California Solar Initiative also offers customers from San Diego to San Francisco incentives based on solar panel performance.This is all part of ensuring that California is generating more and more clean energy with systems that are rewarding and effective. If you’re wondering about the competition, New Jersey is in a close second. The east coast state is planning for solar power growth over the next year, as part of the plan to rebuild after Hurricane Sandy. A plan for solar-powered traffic lights is one project on the horizon. In 2012, New Jersey generated 103 megawatts of solar power. It’s encouraging to see a little competition between states for the lead in solar power. Have you seen any solar energy initiatives happening in your area?